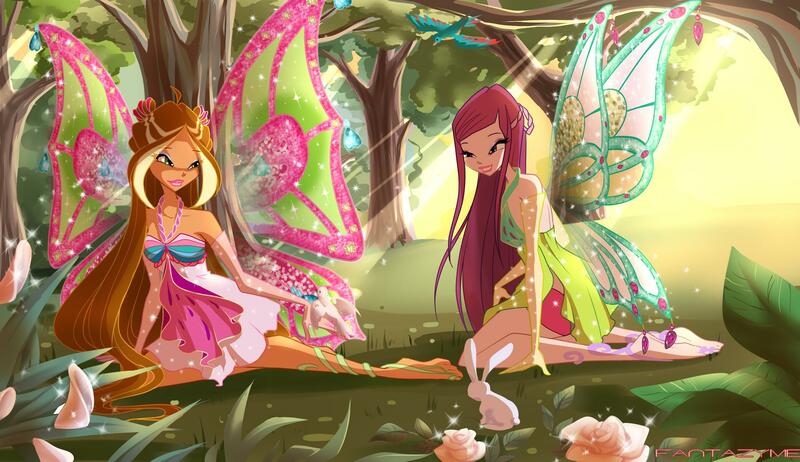 Roxy & Flora: Enchantix~. . HD Wallpaper and background images in the 魔法俏佳人 club tagged: winx club characters flora roxy fan art image enchantix deviantart fantazyme. roxy's enchantix looks so awesome! My 5 最喜爱的 and least 最喜爱的 characters.